The Trust was founded in 2014, to fulfil the heartfelt wish of our Spiritual Director, Lama Lhakpa Yeshe, to provide teachings in Tibetan Buddhism to as many people as possible. The Dharmakaya Trust aims to provide a range of teachings which are accessible to everyone, whatever their previous experience of Buddhist teachings. In the future, the Trust hopes to open a Retreat Centre to enable the teachings to reach even more people and to give the Trust a permanent base. ​In 2017, the Trust expanded its aims to incorporate a sponsorship scheme which relieves poverty amongst Tibetan refugees who have settled in and around Rewalsar, a sacred place of pilgrimage in the Himalayan foothills of Northern India. Our Spiritual Director, Lama Lhakpa Yeshe grew up in Eastern Tibet and became a monk at the age of ten. He spent many years studying at the nearby Zigar monastery. In his late twenties, he travelled to India where he received further teachings and lived for many years in a retreat cave above Rewalsar. Lama came to England in 2007, and now teaches widely in the United Kingdom and other countries including Austria, France and Germany. Dharmakaya Trust aims to offer a range of teachings at different venues throughout the year. These range from an evening’s introductory talk, to a one day teaching or a longer three day residential retreat. Topics also vary, but generally focus on how to incorporate Tibetan Buddhist teachings and practice into everyday life. Teachings have been praised for their accessibility, insight and humour. 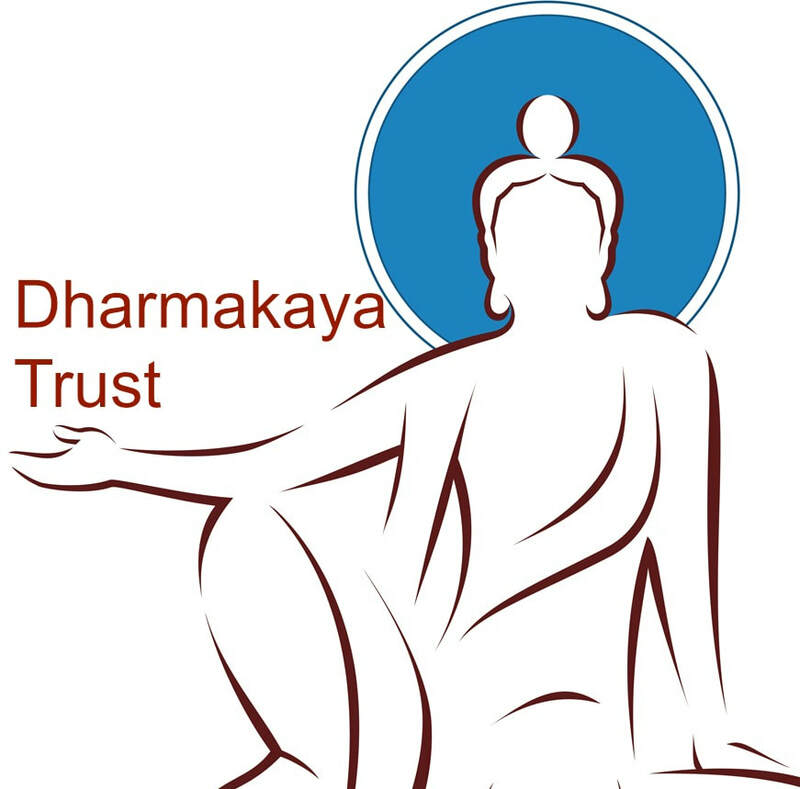 The Dharmakaya Trust has also developed a practical sponsorship scheme that helps to support a range of Tibetan refugees in Northern India with varying needs including children, young people, monks, nuns and elderly people. The Trust currently facilitates sponsorship for around 86 Tibetan refugees as a result of the kindness of our sponsors. All money donated goes to the people being sponsored - administrative costs are covered separately by the Trust’s volunteers and fundraising. A relatively small amount of money by our standards can really make a difference to the everyday lives of Tibetan refugees in Rewalsar and also offers us the opportunity to practice generosity and compassion which are at the heart of Tibetan Buddhist teachings. For more information about the sponsorship scheme and becoming a sponsor please click here. Satish Kumar, the renowned environmental campaigner, peace activist and author is Patron of the Dharmakaya Trust. As well as travelling extensively to teach, Lama has also written this popular book on cultivating compassion.